ABOUT AHA > FOUNDER BIOS. Leonard Novarro is an award-winning journalist, editor, media consultant and twice Pulitzer Prize nominee. Before co-founding ASIA, the Journal of Culture & Commerce, with partner Rosalynn Carmen in 2002, Mr. Novarro covered the Asian community in San Diego for Asia Inc., Asia Times and several other media outlets in Asia and served as a correspondent for Reuters News Service reporting on San Diego and northern Mexico. Recognizing the emergence and rapidly growing strength of the Asian and Pacific Islander community, Mr. Novarro designed and produced the first newspaper of its kind serving the Asian American community in English. Mr. Novarro and Ms. Carmen began publishing ASIA as a community newspaper every two weeks in June 2002. In less than two years, the newspaper grew from 2,000 to 20,000 in circulation and by 2007 was producing a second edition of 40,000 copies twice a month exclusively for Los Angeles. 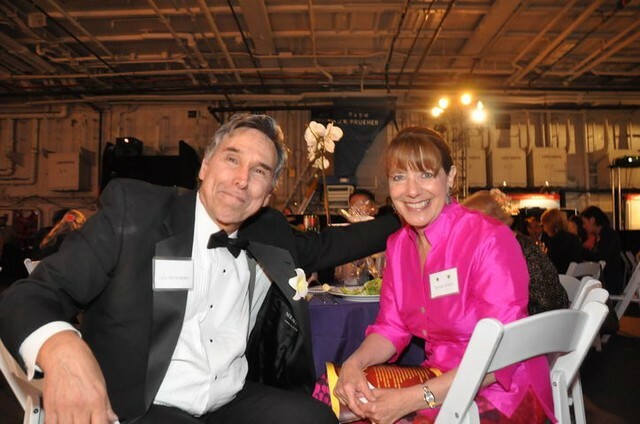 In writing about the achievement of Asian and Pacific Islander Americans, Mr. Novarro and Ms. Carmen developed an additional venue to recognize such accomplishment and in 2004 created the annual Asian Heritage Awards, founding the Asian Heritage Society to produce the annual event, now in its twelfth year. Prior to co-founding the publication ASIA, Mr. Novarro served as features editor of the San Diego Tribune, where he introduced a series entitled “Faces of San Diego,” about the variety of cultures making up the San Diego mosaic. The series went on to win a National Institute of Human Relations Award sponsored by the National Conference of Christians and Jews. Prior to moving to San Diego, Mr. Novarro was nominated for a Pulitzer Prize as part of an Orlando Sentinel team uncovering disgraceful conditions of migrant farm workers in Central Florida. Later, as an investigative reporter for the Memphis Press-Scimitar, Mr. Novarro wrote about the effects of chemical contamination on poor minority communities, which led to congressional hearings chaired by then Tennessee Congressman Al Gore. Together, they exposed attempts to cover up the problem by several state agencies. Mr. Novarro’s more than 100 stories over a year and a half earned him the prestigious John J. Finney Award for public service and investigative reporting. He is also recipient of a California Endowment Health Journalism Fellowship from USC’s Annenberg School of Communication and served as a writing and editing instructor at San Diego State University.